It's Time for the Happy Egg Festival! 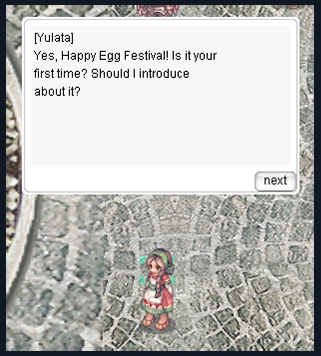 Head on down to Juno and speak with the Member of Happy Egg Festival to get the scoop on the latest new quest! 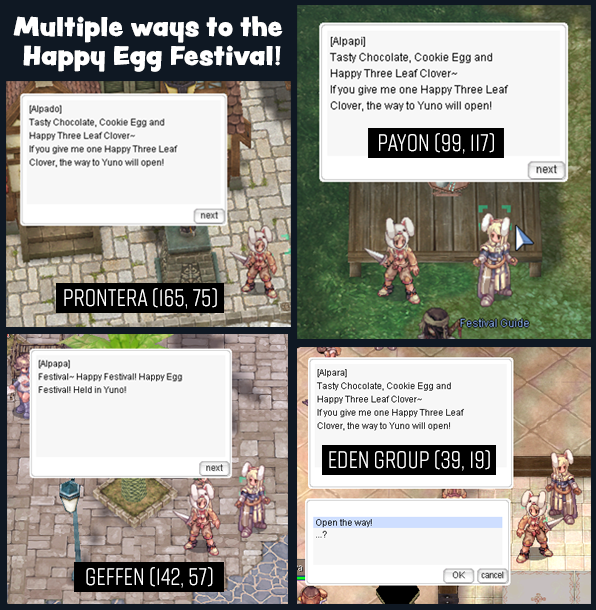 If you're not in Juno, representatives of the Happy Egg Festival are scattered all across the map! Find them wearing their bunny ears in Prontera, Payon, Geffen, and Eden Group - for one Happy Three Leaf Clover, they'll teleport you straight to the Festival! 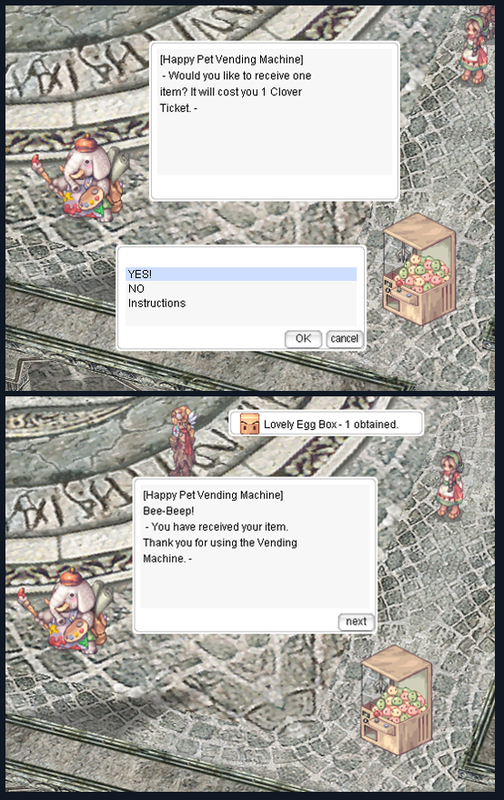 If you find and break enough Happy Eggs and perform other quests in the Happy Egg Festival, you'll earn Clover Tickets you can use to gain prizes from the Happy Egg Vending Machine! But be wary... those eggs are tricky to find!